You can’t beat the sense of satisfaction that comes with reaching the top of the mountain – no matter what size the peak is. Not only do you pack in some exercise and get great views to boot (if the weather is kind), you can also relish the achievement of completing a challenge. And with plenty of mountains in the UK ready for you to conquer, you don’t have to travel far to put yourself to the test. From the biggest to the smaller, lesser-known climbs that still have a lot to offer, there are mountains to suit all abilities – so there’s no excuse not to give it a try. Before setting out, ensure you’re properly kitted out in sturdy walking boots, and with waterproofs, warm clothing and emergency food. Let someone know where you’re going and when you’ll be back, and check the weather forecast before you leave. If you’re ready to accumulate the vertical but are lacking inspiration, we’ve got you covered. 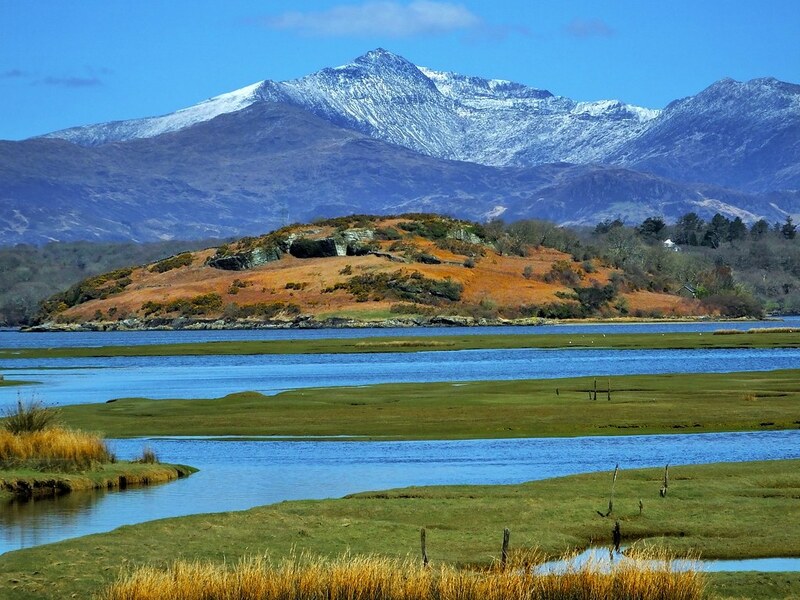 The prospect of climbing Wales’ highest mountain might seem intimidating – but no technical skills are needed to reach its 1,085 metre-high summit. There are eight well-trodden tracks to choose from, with the Llanberis Path the most popular. This peak gets busy in summer, and there’s a visitor centre on the summit, which probably won’t appeal to seasoned climbers. But this is the UK’s most popular mountain for good reason – not only is it accessible for climbers of all levels of experience, but the view from the summit is outstanding and well worth the effort. If that’s not enough for you and you fancy upping your Snowdon game, there’s always the Snowdon Challenge – a 17km cycle to the bottom, 7km hike to the summit and down again, finished by a 4km paddle across Lyn Padarn – all in less than 12 hours. Rising majestically out of the Mourne Mountains, Slieve Donard is the highest peak in Northern Ireland. 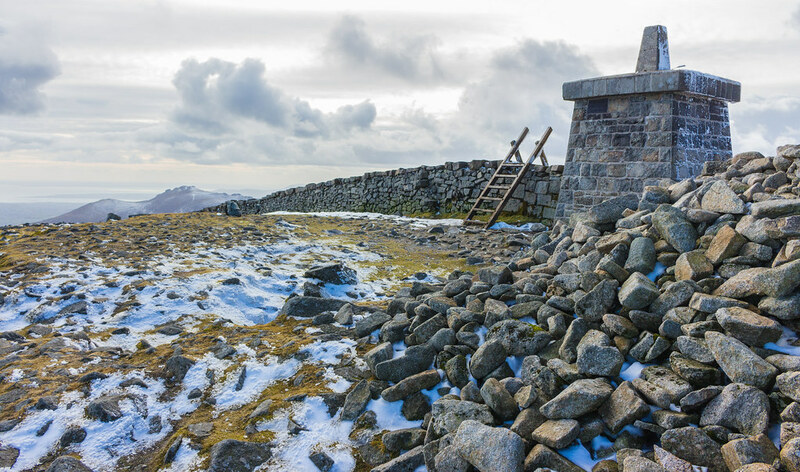 The 850 metre-high summit features a small stone tower and the remains of two ancient burial cairns, one of which is supposedly a Neolithic Passage Tomb, the highest of its kind in the UK. Until the 1830s, people would climb this mountain as part of a yearly pilgrimage and today’s walkers are faced with the same landscape of granite ridges, boggy paths and – usually – strong winds. As you walk, you’ll trace the Mourne Wall, built between 1904 and 1922 to enclose a reservoir, which crosses over 15 mountains in the Mournes. 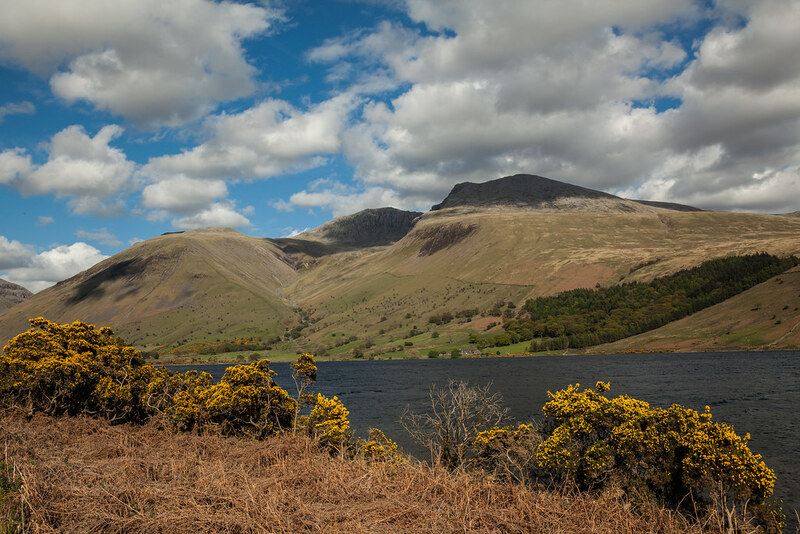 England’s highest mountain, Scafell Pike stands at a mighty 978 metres tall in the heart of the Lake District. Its summit is the highest point for almost 100 miles, so on a clear day you get far-reaching views to Wales, Scotland and even Ireland. The mountain is also home to Broad Crag Tarn, the highest standing water in England, and it refreshingly has no buildings at its top. The hike, which usually takes at least two hours and can be done using a number of routes, is tough and involves scrambling over steep, hard terrain. This is also the site of England’s highest war memorial, donated to the National Trust 1919 in memory of those who died in the First World War. Scafell Pike is also included in the infamous Lakeland 10 Peaks Challenge – a 27km route conquering 10 peaks in just one day. Of course, the UK’s tallest mountain makes our list. Nicknamed “The Ben”, this is the highest – and one of the toughest – mountain challenges you can undertake in the UK, with an altitude of 1345 metres above sea level. 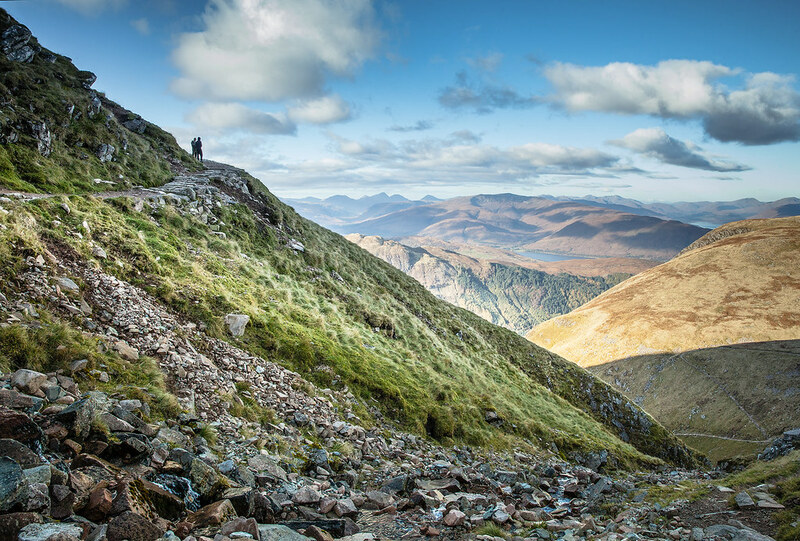 The nearby town of Fort William is a magnet for tourists, with most walkers tackling the “easier” Mountain Track (also known as the “Tourist Track”) up the mountain, starting at Glen Nevis. The route climbs steeply via several zig-zag paths before ascending up the stony west flank of the mountain. Experienced climbers, and those who want to steer clear of the tourists, usually opt for the “North Face”, one of the highest cliffs in the UK. For the ultimate starter mountain, look no further. 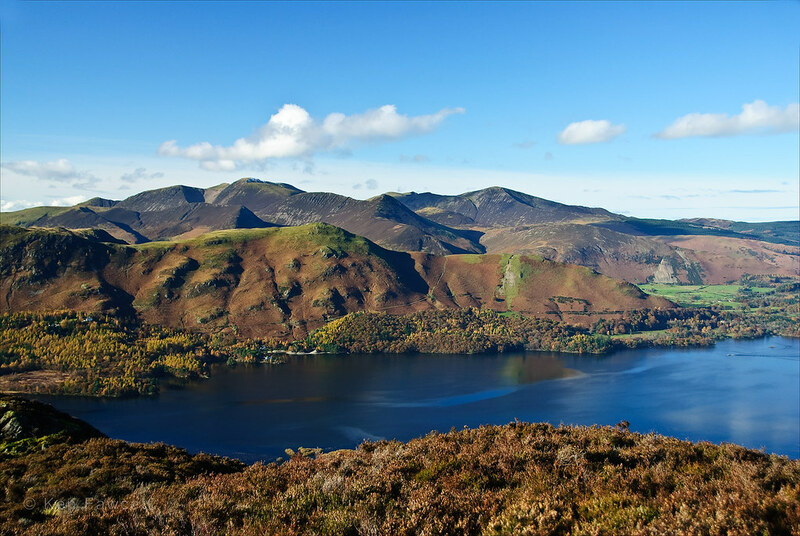 With an elevation of just 451 metres, Cat Bells is a modest summit by Lake District standards. But that doesn’t make it any less appealing, and it’s a particularly good option for people who are dipping their toe into climbing mountains. This rugged miniature mountain is steep in places and will leave you breathless – not only from the physical effort but also from the panoramic views of mighty Skiddaw and Derwentwater below. The Lakeland writer Beatrix Potter loved this peak, with Mrs Tiggywinkle said to have lived behind a tiny door on Cat Bells itself. The highest peak in south Wales, Pen y Fan is loved by walkers thanks to its good paths all the way to the summit, which makes it a great mountain for beginners to climb. However, experienced mountaineers will also enjoy reaching its 886 metre-high top – walk here and you might see soldiers from the UK Special Forces, as they use the mountain for training and selection. 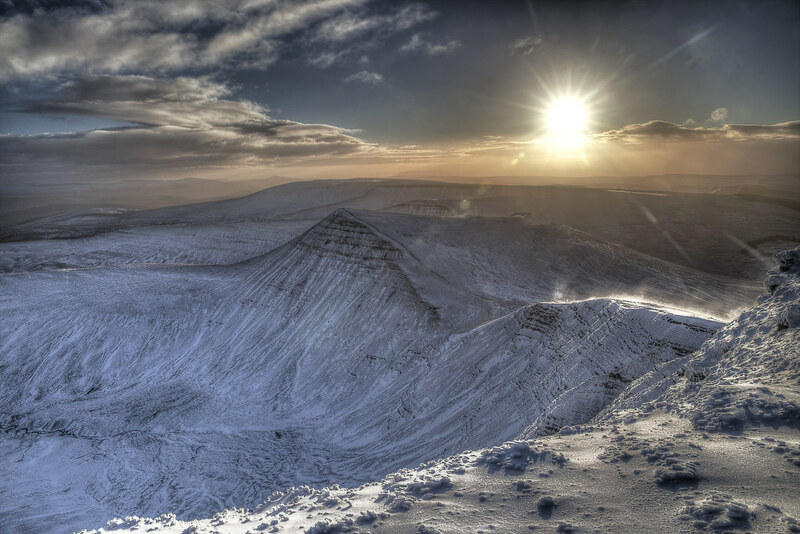 Along with its twin mountain Corn Du, Pen y Fan was previously referred to as Arthur’s Seat. 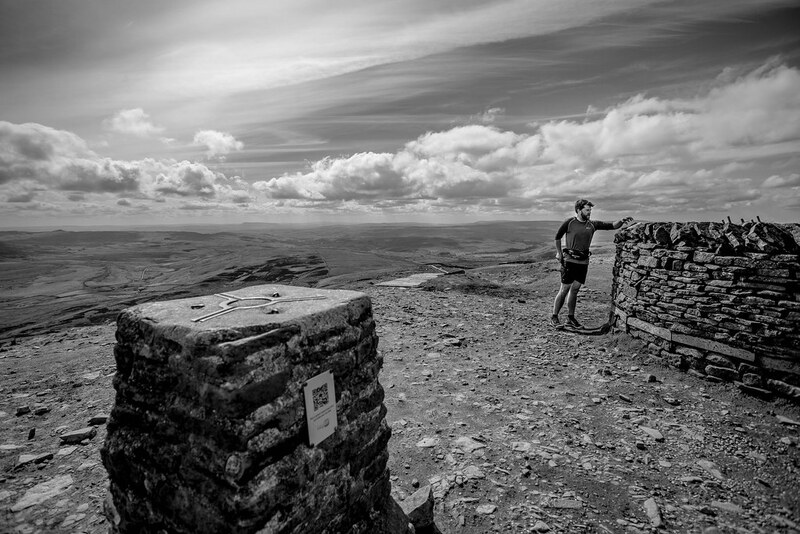 There are a number of ways to hike up the mountain, including a gentle, four-mile loop from the Storey Arms and a challenging, 11-mile circuit that takes in Corn Du (873 metres) and Cribyn (795 metres). 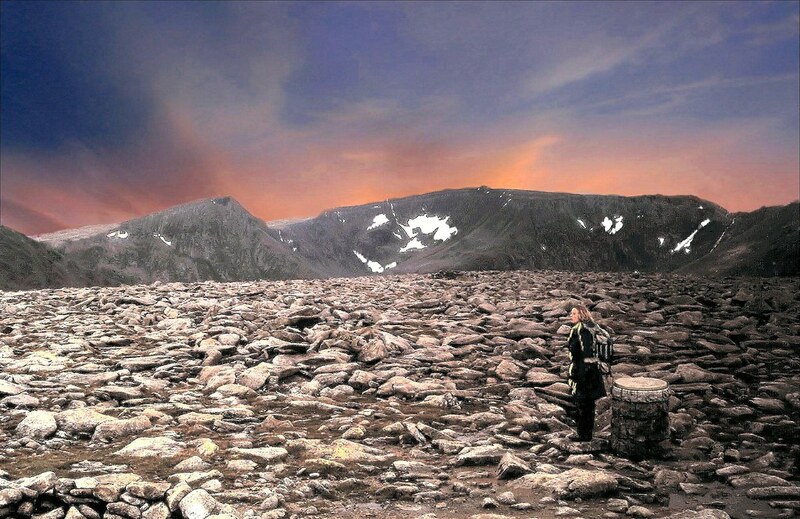 Standing a lofty 1309 metres tall, Ben Macdui is the second highest mountain in Britain. It is the highest point in the Cairngorms and climbing it makes for an even wilder experience than its big brother Ben Nevis thanks to it being lesser-known. The desolate passes and summit are said to be haunted by “The Big Grey Man” – so it’s not one for the faint of heart when it comes to both fitness and being spooked. In winter, the peak is blasted by freezing temperatures and snow, pulling in skiers to the nearby Cairngorm Ski Centre. Approaching from Speyside, you will cross the vast, exposed Cairngorm plateau, a popular route but requiring good navigation skills. Another great choice for novices, Pen y Ghent is the lowest of Yorkshire’s famous Three Peaks (694 metres) – but it’s the most dramatic if you climb it via the southern ridge, though it involves some steep scrambles and a good level of fitness. Located east of the village of Horton in Ribblesdale, its name translates as “Mountain of the Winds” and it can be a formidable test on a gusty day. On your ascent, don’t miss Hunt Pot and Hull Pot, large fissures that have been carved out by water and are popular with cavers. Got summit fever? Check out our collection of epic mountain climbing trips, and other UK adventures. Trekking in Nepal | Where Do You Start?